1.30PM: A SECOND accident in the northbound lanes of the Pacific Highway at Korora has created traffic congestion this afternoon. Four vehicles have been involved in a bonnet to bumper prang near James Small Dr following the earlier vehicle rollover at Sapphire, which caused lengthy delays for southbound traffic. 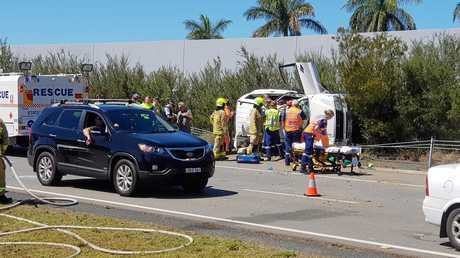 UPDATE: THE vehicle involved in this afternoon's serious crash at Sapphire was reportedly travelling north of Coffs Harbour when it veered into a ditch in the median strip overturned and rolled across the southbound lanes of traffic. Emergency services on scene said it was incredibly lucky that the 4WD did not come into contact with surrounding vehicles given the heavy school holiday traffic on the Pacific Highway. The Mitsubishi Pajero ended up on its side across a wire road barrier. The 51-year-old woman was trapped in the vehicle for a short time. 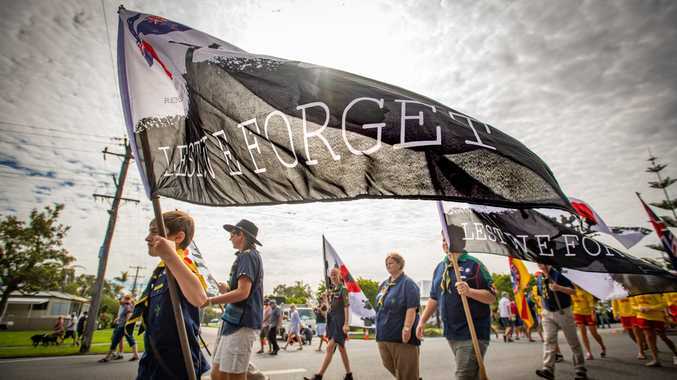 Ambulance NSW Inspector Dean Lassau said the woman suffered a cut to the head and was transported to Coffs Harbour Base Hospital in a serious condition. Five Coffs Harbour SES volunteers attended the scene and stabilised the vehicle. They cut the door to extricate the patient and helped transfer her to a road ambulance. A representative from the NSW Ambulance Service said the 51-year-old has a suspected fracture to her elbow. She is also believed to have a deep laceration to the back of her head. EARLIER: A 51-year-old woman is trapped in a vehicle on the Pacific Highway, Sapphire Beach. Three crews from the NSW Ambulance service are at the scene near the Mountain Way. Police and NSW Fire and Rescue are also at the scene. Crews were called to the single vehicle accident at around 12.40pm today where they found her vehicle flipped onto its side. It appears the woman has cuts to her hands and head and is currently being extricated from the vehicle. Southbound lanes on the Pacific Highway are closed and motorists are being urged to avoid the scene.